Home / QuiBidder of the Week – Elitsa M.
QuiBidder of the Week – Elitsa M.
Congrats to our newest QuiBidder of the Week, Elitsa M. from the United States! Elitsa won loads of high-quality items on QuiBids, like a guitar for under $6.00, and a turntable for under $0.10! Elitsa also explains the bidding strategy she used to attain these wins. Set limits before entering an auction. Best times for Elitsa to bid: early morning or late evening. “I started bidding in October after seeing a commercial for QuiBids on TV and was amazed at how many quality Christmas gifts I could get through QuiBids. My bidding strategy is to ‘scare’ other bidders away by aggressively bidding and using the Bid-O-Matic option early in an auction (for a limited preset amount of bids of course). It has led me to win items for a fraction of their cost, since people believe it is too early to start a bidding war with me then. Also, I bid around the time of the morning commute and dinner when people are occupied elsewhere. Using this strategy, I won a Yamaha guitar for $5.63, a desk for $1.79, a sewing machine for $0.10, a turntable for $0.12, Ivanka Trump bags for $0.08 and $0.12, amazing Nambe accessories for less than a dollar each, and lots of beautiful jewelry and useful gift cards! The delivery was very fast (never more than a week) and customer service is stellar! 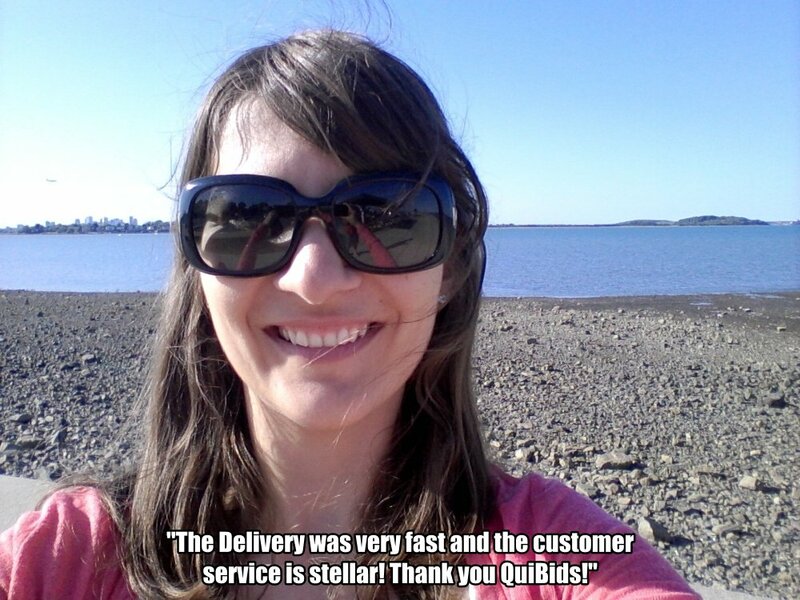 Thank you, QuiBids!” – Elitsa M. QuiBidder of the Week.